Earlier this month I attended the Museums Computer Group Spring Event which looked at innovation, particularly in terms digital activity within museums – what does innovation mean (for museums, for funders), how can innovative projects contribute to our core museum activities, and how can we encourage innovation within our organisations. 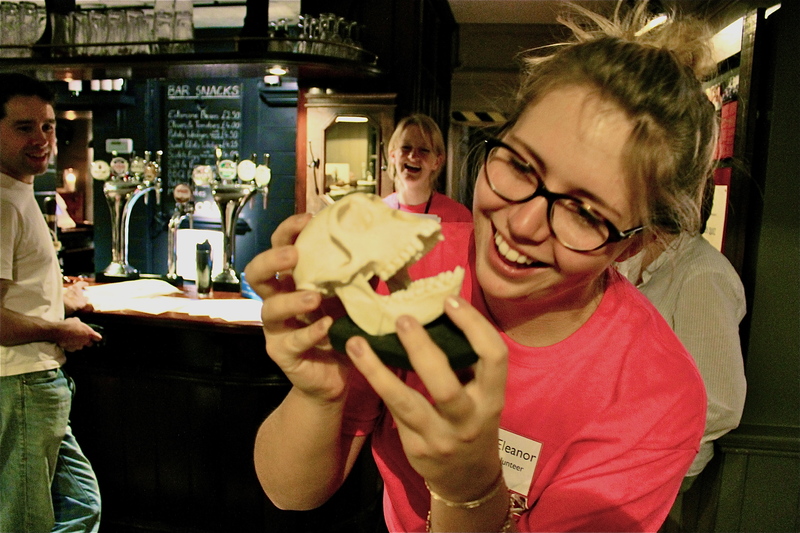 I took the opportunity to share one of the methods we use to enable colleagues to experiment with new ways of working at Oxford University Museums – the Innovation Fund. I had spoken to several colleagues across the sector about this informally in the past and I knew that they had found the idea very interesting, and adopted it in various forms within their own organisations, and so hoped that it would be of interest to a broader audience. We launched the Innovation Fund in 2013/14 by ring fencing a portion of the funding that Oxford University Museums receive from Arts Council England as a Major Partner Museum. Utilising the funding in this way was completely in line with the priorities of our funding agreement, as ACE encourages its MPMs to be innovative in terms of how we work, enabling organisations to be more sustainable, and how we engage new, wider and harder to reach audiences. So we set up a fund that colleagues working across Oxford University Museums could apply to in order to support innovative and experimental activity that supported these goals. As well as making funds available for colleagues to experiment with things beyond their core budget and remit, we wanted to encourage an atmosphere of innovative thinking and collaborative working across the museums, so when we launched the fund in 2013/14 we did so with an Innovation Sandpit event. We invited colleagues from across the museums, and across the various departments and specialities within them, creating an environment that would encourage colleagues to think differently and bounce off one another. Facilitated by Maurice Davies, there were activities to release creative juices, and think about the major needs and challenges of the sector, and then opportunity to develop ideas with other participants. We encouraged colleagues to submit the ideas they developed on the day to the Innovation Fund – alongside ideas submitted by other colleagues independently – and funds were then awarded on a competitive basis. Discover Family Arts Award, developing a log book to enable families to complete a Discover Art Award through our well established family education sessions. Following the success of our first round, we decided to re-run the fund in 2014/15, with similar success – we are currently posting details of some of these projects on the blog as part of an Innovation Fund series. For the second round we decided to organise the Innovation Sandpit differently – some parts of which worked, some which did not. As well as inviting colleagues from across the museums, we also invited colleagues from other departments within the university, such as the Bodleian Library, IT Services, Humanities Division and Said Business School, encouraging even broader collaboration. 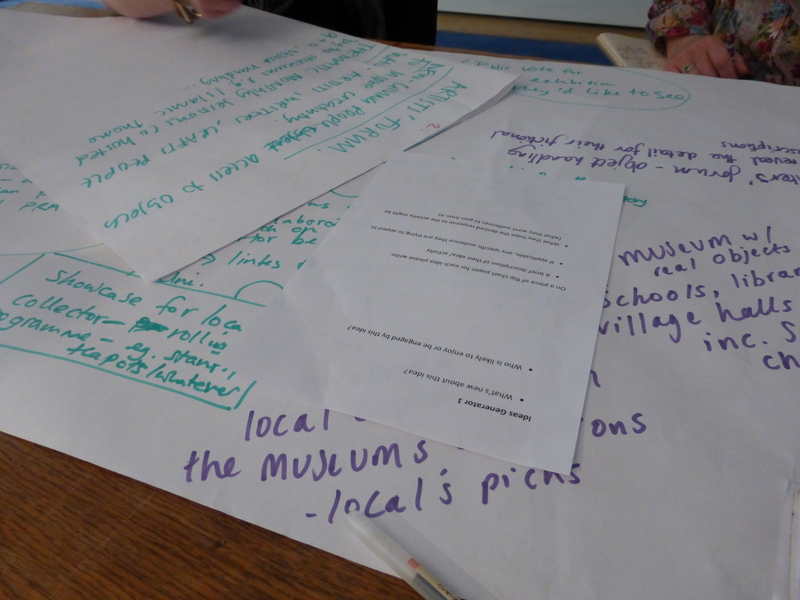 This worked really well, since not only did the different perspectives improve a lot of the ideas, but we had the opportunity to collaborate with these departments to deliver the projects, and it acted as some good advocacy within the university of the value of working with the museums. The way the sandpit worked, we started the day with over a dozen ideas which participants already had in mind, and then the group picked the eight they liked the best to develop further for the rest of the morning. At lunch we picked the four that participants liked most, and they picked which one they wanted to work on in the first half of the afternoon, and then pitch to a dragon den’s style panel for the funding. In the end four brilliant ideas were pitched, with one lucky winner being awarded £5k on the day – I would say that awarding funding in this way worked less well, mainly because of issues with delivery. Because of the way that we built up project teams, there was no clear sense of ownership, and in the end it was up to the joint museums office, as the hosts of the sandpit, to take it forward. In addition, the funding awarded was insufficient to achieve the idea as it was developed, and research into similar projects at other organisations revealed a number of pitfalls which made the idea problematic. These issues could have been resolved if we had, like we did with all the other projects, asked participants to take responsibility for the project, develop their thinking and prokect ideas further, and then make a submission to the Innovation Fund. These other projects were highly successful, demonstrating that it is not enough to have a good idea – you need to develop a strategy and methodology for delivering it. So although the process certainly made for a dynamic day, it was not a realistic method for awarding the funding or delivering activity. We found that this was an excellent way to distribute our funding – we have found in the past that when individual departments are allocated budgets they can be quite conservative, often saving funds for the end of the year for possible expenses, and then having a significant budget to spend near the end of the year, which it is difficult to do in a strategic way. By moving that funding to a competitive funding stream, colleagues had to develop ideas that they would deliver, and therefore had a road map for activity from the start of the year. We find that people did take risks with the projects that they were suggesting – I think that there are a number of reasons for this. 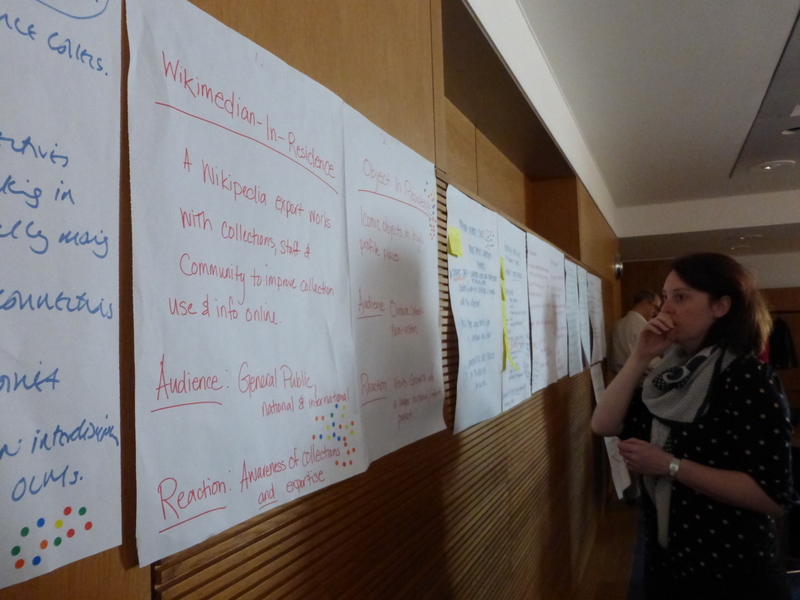 The Innovation Sandpit days certainly contributed, allowing colleagues to talk through their ideas with a variety of colleagues and incorporate perspectives from other parts of the museums and university. Also, the application process was very light touch, which meant that the barrier for at least submitting an idea was low. Finally, no matter what funders say, no one wants to go back to a funder and say that they failed. This was not so problematic internally, and if one or two projects did not work out as expected, they were part of a larger, overall successful programme. An unexpected benefit was CPD for junior members of staff who came up with some of the most interesting ideas, and then had the opportunity to manage the project and its budget, giving them experience they may not otherwise have had. Some of the most interesting projects actually came from our HLF Skills for the Future Trainees. Awarding funding as part of the sandpit event did not work, we needed colleagues to go back and properly scope the funds and time involved in delivering – but the sandpit events were very effective at developing projects, and valuable in their own right, bringing together colleagues from across the museums who may have little contact in their day job. Expanding participation to other departments of the university was also extremely valuable, not only drawing in that expertise, but as some advocacy, promoting the museums as a resource to other areas of the university. This entry was posted on June 2, 2015 by Jessica Suess in Uncategorized.